Matthew Ostrom is the VP of Current Series and Development for Original Media. Matt and I worked together several years ago and since then he’s been busy creating original programming for a wide variety of networks. In his current position he has executive produced a large slate of original shows including King of Dirt, Masters of Reception, Swamp People, Destination Design, LA Ink, Storm Chasers, BBQ Pitmasters and many more. I asked Matt to give us an inside look into how a show goes from an idea to a series. How did you get involved in production and development? Matt: I started doing television production in college and then moved to New York City for an internship at HBO my senior year. At the end of the internship I stayed in the city to start working in production. I have done a little bit of everything in the television world since then – working and collaborating in reality, hidden camera, game show, comedy, scripted hybrid and talk/variety shows. I have spent time in front of the camera and on stage as well, and those experiences helped to inform my producing style. It is a very competitive industry and my diverse background has employed me through lots of ups and downs. What are some of the deciding factors that can make an idea into something you’d want to develop into a pilot? Matt: It depends on the show, but for me 99% of the time it’s character – a big, dynamic character in a unique world. So much of the type of docu-soap programming I make starts with a person at the center of a world that is the best at what they do, or is an expert above all the rest. The type of personality that you can hang a show on. At the center of LA Ink (TLC) is Kat Von D, a compelling personality with an amazing talent. The King of Dirt (DIY Network) is a simple landscaping show, but at the core of each episode are Gino Panaro and his brother, Ralph. The make amazing landscapes and drive each other a little nuts – in a fun, dramatic way. Why don’t some pilots make it? Matt: The unfortunate fact is that most pilots don’t make it. If one out of ten goes to series, that’s considered successful. During the pilot phase, you are trying to figure out what the show is, how it works and what the structure is, but there are lots of factors and influences that can throw your project off-track. Sometimes you have an idea in mind, and sometimes that idea does not translate to screen as well as you hoped. Or sometimes the network that bought the pilot sees the show differently than you do, and their changes can effectively kill the project. Sometimes pilots come out great, but the network changes its mandate (e.g., they go from being a lifestyle channel to a cooking channel) and the pilot you made no longer fits on their network. There are lots and lots of ways a great television show can die. Was there ever a pilot you made that you were sure would be picked up as a series and wasn’t? Why? Matt: Yes. I did a game show that everyone loved for a music channel. The network did focus group testing (where they present new shows to large groups of people and find out what these audiences think of them), and the show did really well. Everything looked great, and the day before the network was going to make a decision about ordering the show, the leadership of the network changed. When that happens, a new General Manager (GM) is brought in, and when a new GM comes into a network, they often wipe the development slate clean by killing projects that the previous GM was working on. It’s unfortunate, but a new GM is there to make their own mark with programming they develop. When a pilot is picked up by the network what are some of the first things you need to do to create a show that will have ‘legs’ for 13 or more episodes? Matt: To be honest, you really don’t want to do a pilot. The goal is to walk into a network with a short tape that demonstrates what the show is so that the network development folks want to go straight to series. This tape has to be awesome – like “make the hairs on your arm stand up” awesome. If you make a pilot from that tape, it gives the network another chance to find something “wrong” with your show. Networks can always find something “wrong” with a show, and once you get into a situation where they’re testing and thinking and time is passing, your chances of going to series start to go down. With that said, sometimes you can’t avoid going to pilot, and it’s in that pilot that you want to demonstrate that the world you are making a show about has lots of stories to tell. You can help to illustrate that by writing up paper that talks about future storylines or events that are coming up. Anything that lets the network know that this could be a show that could last a long time with lots of possibilities, lots of exciting things to see. How does your role change once the show goes from pilot to series? Any advice for creatives out there that have an idea of a television show? Matt: You can pitch to networks. They have development departments, and they’re always looking for good ideas. Just pick up the phone and make an appointment. Depending on your level of experience in television, it may make sense for you to partner with a production company. I would recommend matching your idea with a production company that has a track record for doing that type of programming. For example if you have an idea for a game show, go to a production company that has a proven track record of making hit game shows. A company with a track record can get your idea into a high level person at a network, and maybe right to series! Good luck! Matt, I appreciate your time, thanks for joining us to day. King of Dirt – A how-to-landscaping show for DIY that mixes reality with instruction. Masters of Reception – A docu-series for TLC set in the behind-the-scenes world of New Jersey’s most successful wedding catering company. Swamp People – A docu-series for The History Channel set in the swamps of Louisiana. Destination Design – A home makeover show for HGTV that uses inspirational travel to transform homes. LA Ink – A docu-series for TLC starring Kat Von D set in and around the tattoo scene of Los Angeles. 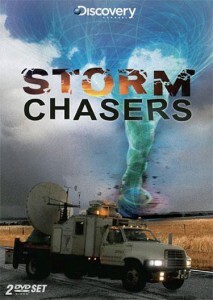 Storm Chasers – A series for Discovery that follows a team of scientists and filmmakers as they attempt to intercept tornadoes. BBQ Pitmasters – A competition docu-series for TLC about the world of competitive BBQ. Tough As Nails – A docu-series for HGTV centered around one of Boston’s best female homebuilders. Flowers Uncut – A docu-series for TLC about world-renowned florist, Jeff Leatham. Duel Survivor – An adventure survival series for Discovery. Be Good Johnny – An eight part series for The Sundance Channel that follows Johnny Weir on his quest to Olympic glory. Hey Matt!! Great interview and some fabulous shows! I’m a fan of Storm Chasers and King of Dirt. After reading the interview I was wondering – what is your favorite part of the job – the create or the dig down in the dirt and problem solve? I love the creating. You are always problem solving, even when you are creating — just a different type of problem solving. In the beginning you are not limited to real things, like budgets or casting. In the beginning you can let your imagination go anywhere… once someone is paying you to make a show a hit… the pressure is on! Hey Matt! I have an amazing idea for a television show that would be right up your alley. Is there an email address where I could send you a short message about it? Swamp People sounds interesting. When will it air? I’m waiting on the show “Swamp People” to come on t.v., do you know when it will air and on what station?